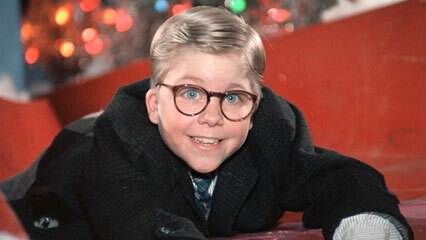 Who wrote the original story that “A Christmas Story” was based on? According to the 2003 Movie “Elf” what is the best way to spread Christmas Cheer? What was the name of the angel that helped James Stewart in “It’s a Wonderful Life”? In the 1988 film “Scrooge,” the character played by Bill Murray is a cold-hearted…? What State is the movie “White Christmas” based in? What was the name of Rudolph’s dogsled driving friend? In A Charlie Brown Christmas, who plays the dusty innkeeper in the Christmas play? In It’s A Wonderful Life, what two friends share their names with two Sesame Street characters? Which hospital is Kris Kringle taken to in Miracle on 34th Street? In National Lampoon’s Christmas Vacation, with what is Clark planning to surprise the family as a present? In what building does Buddy the Elf’s biological father work? Post your answers below. Have a Wonderful Holiday Season!